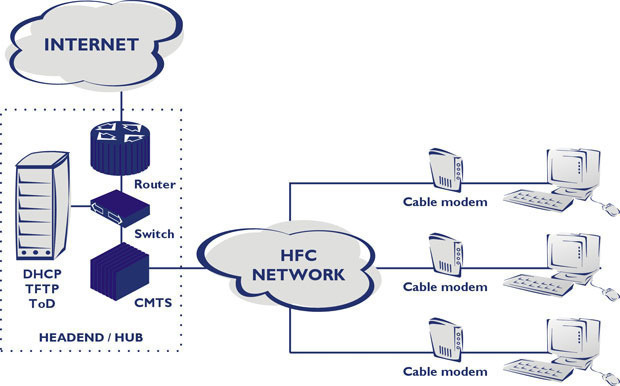 Data Over Cable Service Interface Specification (DOCSIS) defines the interface standards for cable modems and supporting equipment involved in high speed data transfer and distribution over cable television system networks. It permits additional high-speed data transfer over an existing cable TV system and is widely used by television operators to offer Internet access through an already existing hybrid fiber coaxial infrastructure. Other devices that recognize and support DOCSIS include HDTV&apos;s and Web-enabled set-top boxes for televisions. In other words, the same cable that brings you CSI can also allow you to send email and receive Internet news. CableLabs developed DOCSIS and this technology has been approved as a standard for cable modems by ITU. The DOCSIS architecture consists of two primary components. 1) A cable modem located with the customer and, 2) the cable modem termination system operated by cable service providers. The second function is to perform as a Hi Speed way station for multiple cable modems and then communicate with the system network. DOCSIS defines protocol for bi-directional signal exchange between these two components through the use of cable. DOCSIS 1.0 debuted in March 1997 and is what most consumers typically link with high speed cable Internet access. This version facilitates a downstream traffic transfer rates of 27-36 Mbps over a radio frequency (RF) path in the 50 MHz to 750+ MHz range, and upstream traffic transfer rates between 320 Kbps-10 Mbps (average 5 Mbps) over a RF path between 5 and 42 MHz. In layman&apos;s terms when more people who use DOCSIS 1.0 are using the Internet the slower the overall speed will be for customers. DOCSIS 1.1 can coexist with DOCSIS 1.0, but features an increased upstream data transmission and improved security. This version facilitates multiple services such as voice and streaming. The end result is faster transmission and reception with a greater inventory of features. DOCSIS 2.0 has an added capacity for symmetric services by operating at 64 QAM, backed by a new 6.4 MHz wide channel. Enhanced modulation and improved error correction ensures that this standard offers an increased bandwidth for IP traffic. The upstream traffic DOCSIS 2.0 is above 30 Mbps which is 3 times better than DOCSIS 1.1 and 6 times faster than DOCSIS 1.0. DOCSIS 2.0 is interoperable and backward compatible with DOCSIS 1.x. Long story short – this version works with both of the others but remains much faster and exhibits fewer errors. 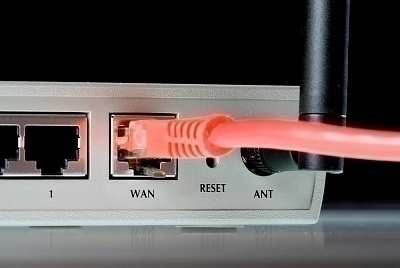 The latest development in cable Internet connection is Embedded DOCSIS (eDOCSIS). eDOCSIS is designed to provide subordinate services at the core chip level to the host device. Its purpose includes end device management (including traffic management), configuration and security issues to significantly reduce cost in the service operation and to enhance speed and quality of end customer services. This evolution of service provides greater overall speed, reduced costs, and is less problematic for your service provider. Because frequency allocation plans differ between European and US counterparts, a separate European DOCSIS has been developed exclusively for European countries under the name &apos;EuroDOCSIS&apos;. The main difference between the two standards is in the TV channel bandwidths. For example, European TV channels confirm to PAL TV standards while American ones confirm to NTSC standards. In comparison, the wider bandwidth of EuroDOCSIS is advantageous to Internet users because it has more bandwidth that can be allocated towards downstream data path. Japan has developed its own version of DOCSIS that is further distinguished from either of the existing services in either Europe or the US. Most DOCSIS cable modem service providers implement caps on upload and download rates to suit their different configurations. For example, Comcast, the largest cable TV network in the U.S. cas the download bandwidth at 6 Mbps and upstream bandwidth at 384 Kbps. The caps are set by sending a configuration file to the modem via TFTP, at the instance when the modem establishes a connection to the provider server for the first time. The caps vary with different players. Most companies offer higher download rates, but you can expect to pay more for this service. 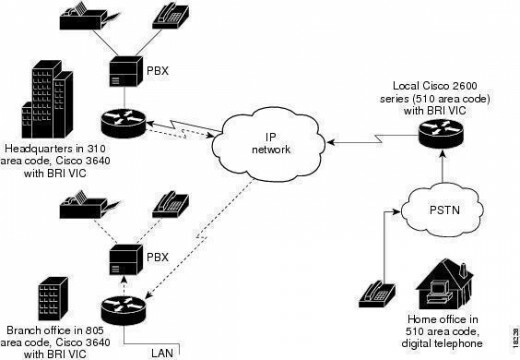 The oversimplified version of this information is newer cable technology permits you to both receive and transmit over cable at the same time. This allows you to watch your favorite television shows while downloading your email and paying bills online. This is done using the same cable, but using separate receiver and modem. It&apos;s a good example of a technology previously thought to be useful in only one application being fully exploited to advance new technologies and expand previously unknown possibilities. Success has been the byproduct of this brave new move. Can the EuroDocsis to be used in Ameria as well or does with work only with the PAL standard? The safest bet would be no due to the channel frequency difference. Best to use the equipment which supports the american standard. 252 queries in 0.307 seconds.